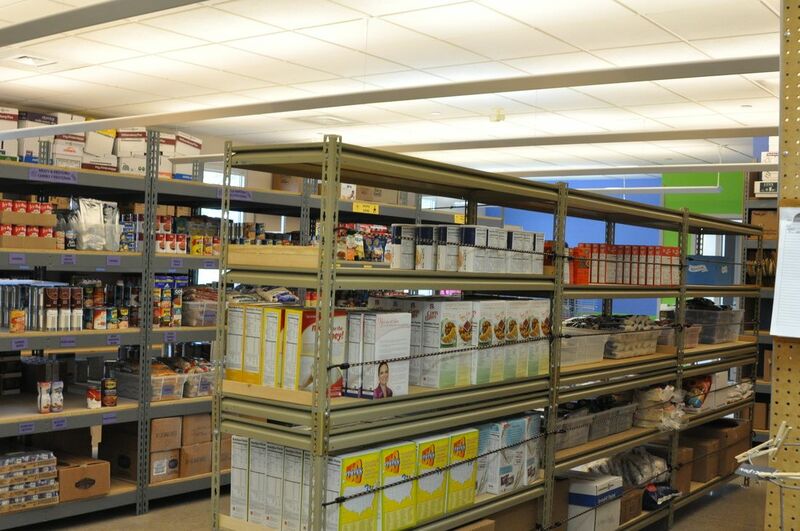 Our food pantry has been continuously operating for 32 years. From a small closet in a local church back in 1986 to an entire 7500 sq ft building today, we help families with limited resources make ends meet. 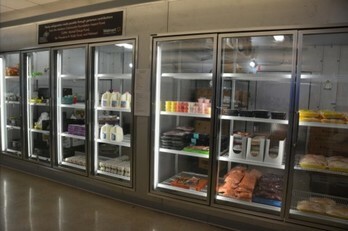 We carry a wide variety of healthy fresh and frozen produce, dairy, and proteins including milk, eggs, hamburger, chicken, and even frozen pizza. With the help of Second Harvest, the Community Action Coalition, and community food drives as well as cash donations we are also able to offer packaged goods including baking supplies, cereal, pasta, and canned tuna, fruits, vegetables, and soups. ​Our food recovery program provides bread and other bakery items donated from area grocers and ready-to-eat food from local companies with cafeteria services. Recovered food is served during our free community meal offered on the 1st and 3rd Saturday each month from 11:30am - 12:45pm and is often available in the cooler section of the pantry store. ​Please arrive at least 30 minutes before we close. If you are having a food emergnecy when the BPNN pantry is closed, please call 2-1-1 for assistance. On most days throughout the summer and fall we have fresh garden produce and throughout the year we receive fresh fruit, vegetables, prepared foods, and artisan bread as part of our food recovery partnerships with Whole Foods Market, MIllers Market, Hy=Vee, Aldi's, Epic Systems, and many other local retailers and food services operations. ​Between monthly visits, families needing a little extra help are welcome to stop by the overflow table located across from the registration counter. Fresh produce and bread are often available here during public shopping hours. Asbury Methodist Church has installed and maintains a little free food pantry in our hallway as well. Households in the 53593 Zip Code and those in the Verona Area School District can use the food pantry based on need. On your first visit, please bring original ID for each member of your household and proof of residency in either the school district or in 53593. Once registered, patrons may visit the pantry once each month. The amount of food distributed will be based on household size and availability. A Dane County Joining Forces for Families social worker is available to help connect individuals with other assistance programs. If you don’t know your school district, you can find it by entering your address at the AccessDane website or finding your location on the school district map. 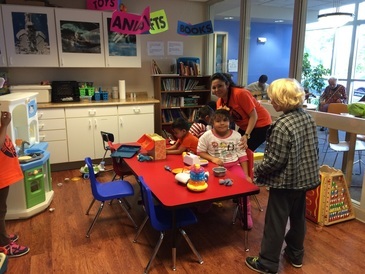 Children visiting BPNN with their parents have a place of their own to read, play, and do craft projects. The kids room is fully visible from the waiting area and is often supervised by a volunteer to maintain order and good behavior. It's so much fun that we often hear complaints from the kids when they have to leave.